MuslimView catches up with contemporary Islamic artist Hatiq Mohammed aka ‘Teakster’ and interviews him about him and his art…. Teakster [T]: I started my artistic journey as a form of escapism from mundanity of my corporate work. I found that the corporate creative industry is, strangely, one of the most uncreative areas to work within. Some clients seem to have little respect for the creative process and want quick and cheap designs; this is not conducive to the creative process. 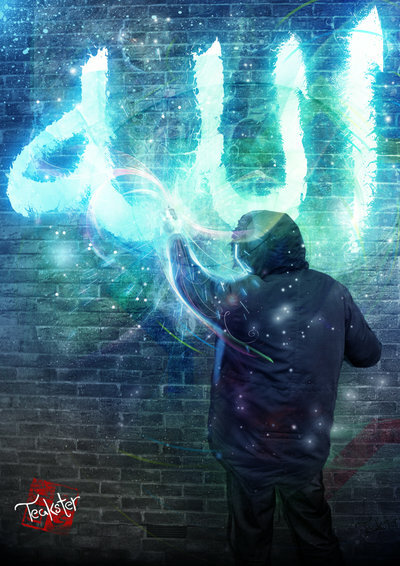 I was initially inspired by my faith as well as by Islam’s early art and calligraphy tradition. I then started experimenting with colours and patterns which I combined with my artistic skills to produce some intricate digital art and, whilst I haven’t had any formal training or education in art and design, I am a great believer in ‘learn-by-doing’ especially if one has a creative spark waiting to be ignited! We are all born with some creative potential, but we need to learn to nurture our artistic ability. MV: When did you realise that you had an artist in you trying to express himself? What obstacles/attitudes did you face? How supportive were family? T: My art is an extension of who I am. It is a fusion of traditional Islamic art with the British environment that I grew up in. These experiences allowed me to experiment with different styles and I believe that my ‘cosmopolitan’ work bridges different and diverse cultures. As with most artists from a south Asian background, I was discouraged from art by my parents as it was viewed as a waste of time with no career potential. My parents were typical of south Asian parents in that they saw the traditional subjects such as medicine, law and engineering as the only career and study options. Even though art was a subject that I excelled in at school, sadly, my parents were not impressed and wanted me to focus more on other subjects. It was not until my art was being recognised through me receiving awards that I got the respect from my family for the art that I was producing. Up until that point, it was a very secret hobby! MV: What have been your influences and the type of art that you do? T: As an artist, I am always looking for that magical mystical moment when an idea comes to me. Unfortunately, a lot of the time ideas just don’t happen like that. 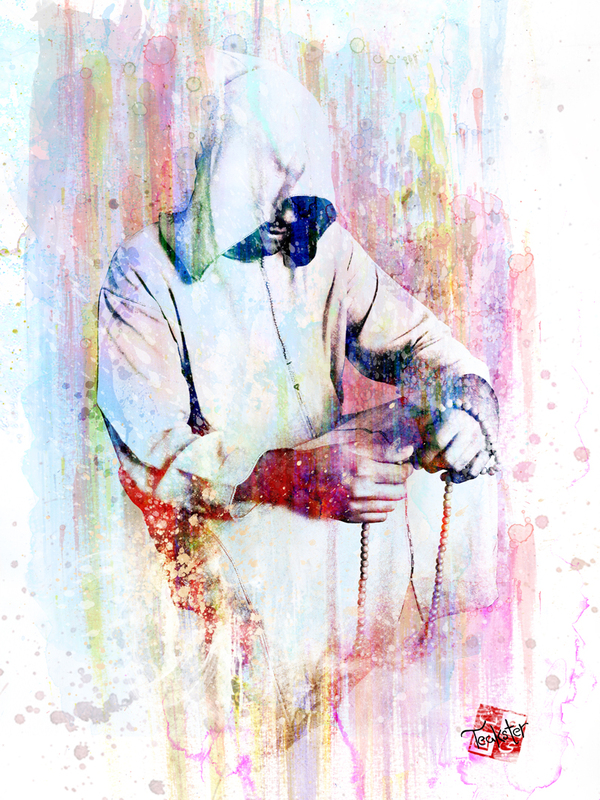 My faith acts as an inspiration for my artwork. In my quest for uniqueness, I try and avoid taking inspiration from the many artists, calligraphers and photographers that I know, but it is fair to say that great art always leaves a lasting expression on one’s mind and soul! 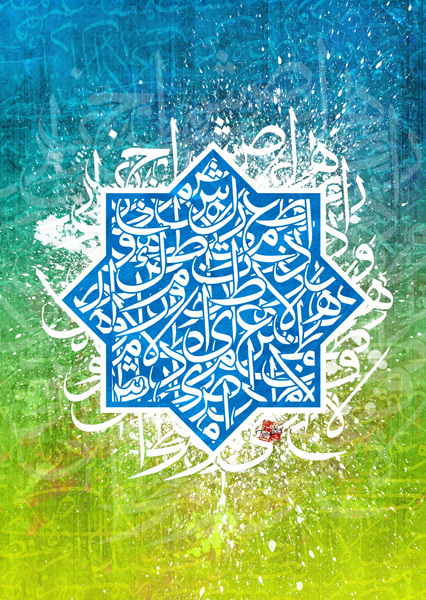 Islamic art is made up of three major elements; geometry, calligraphy, arabesque. 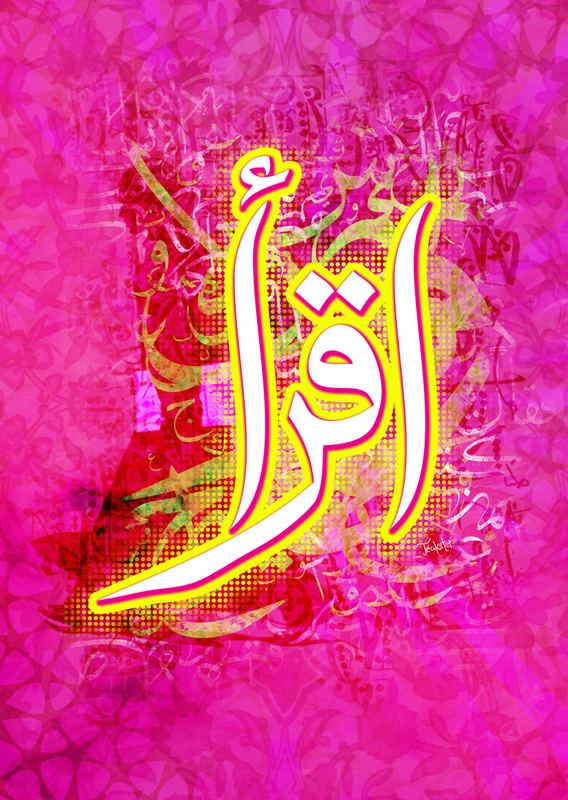 Calligraphy is regarded as the highest form of art in Islam. I utilise all these elements as a foundation to connect each different discipline. Combining traditional methods with wild and inventive approaches, I build upon these elements to create pieces of original art. I also like to use unique painting and drawing techniques that create textural layers on my artwork. The core ideas in my artwork are unity and peace. This ideal is deeply rooted in Islamic culture and tradition. When people look at my work, I want them to feel an emotion or move something inside them. Art has the power to overcome barriers of language, culture and creed and inspire or even reach people at a deep personal level. MV: What advice would you give to other upcoming artists or those “closet” artists whose family and community are not supportive? T: The first requirement is to love the art. Love comes before skill. If someone doesn’t desire art then they will not succeed. If you want to be rich and rolling in money then become a lawyer, doctor or a businessman. It’s a cliché but true, artists seldom make a living from their art. Being an artist as a hobby is fun but it is a different ball-game when you want to make a career out of it. You need to put a lot of time and effort into improving your skills. However, if you plan to make this your career then you’ll be rewarded with being involved in creative projects and pushing your design skills to the max. One of key pieces of advice that I give to young artists or designers that are starting their careers in the field is to always quote reasonable prices for work. When you are starting your career, it will be incredibly tempting to take on any work that comes along, no matter how unfairly companies are trying to compensate you. It is so easy to get sucked into believing that by doing something for free or cheap, the client will gratefully value the work and reward you with more work. Nothing is further from the truth. In reality, if you work for free, you will likely lose the customer the moment you start charging what the work is worth. Charge what you know you are truly worth and attract the customers that you want to make your business enjoyable. Finally, develop a thick skin; you need to be able to handle negative criticism, as you will get that a lot of the time. T: With the media’s portrayal of Muslims and Islam, you’d think that Muslims are barbarians and that the Islamic civilisation has no art and no culture and never produced any. Some of the world’s greatest art has been produced by the Muslim world. History is testament to this fact, and the European Renaissance period owed a lot to Islamic culture. 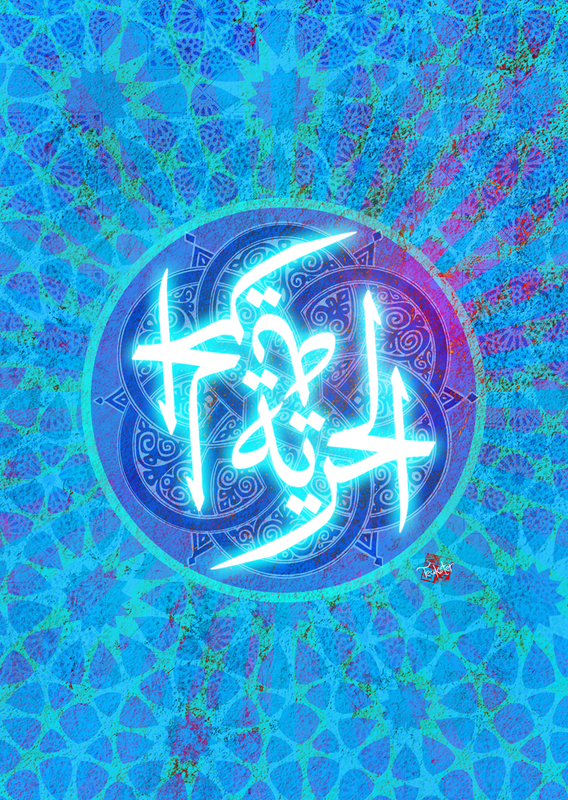 There still remains, to this day, an immense pool of creative talent that is preserving ancient Islamic artistic techniques and finding new ways to express Islamic art in the modern world. Great art engages people, makes the people think and appreciate things outside of their own cultural boundary. Art can be subversive, it can be romantic, it can be happy, sad, and it can provoke intense emotion in the viewer. It can convey a message, an idea, which perhaps language cannot. Muslims, especially in non-Muslim lands, shouldn’t underestimate the effect that their work can potentially have on the societies in which they we live. MV: What achievements are you most proud of? T: During my career in art, I have exhibited in various locations across the globe and received many awards. In 2014, I received the Alhambra Award for Excellence in Arts, which recognises the best of Muslim contributions to British society. It is always rewarding for my work to receive acclaim and receive awards, but what I value above all that are all the friendships that I have made through my art. Fellow artists and members of the public who have fortuitously entered into my life because of the work that I do makes me want to produce amazing artwork that displays the rich tapestry of Muslim and Islamic art and culture!